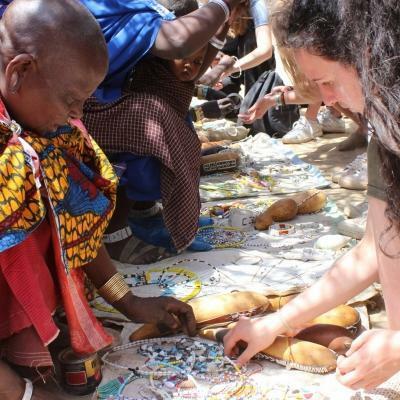 Do a French Language Course in Senegal, and immerse yourself in the culture while exploring life in a West African country. You’ll learn French with a qualified teacher, and each class will be tailored to your exact level and interests. You’ll have classes everyday, which will help you improve your skills rapidly. Best of all, living in a French-speaking country will give you tons of opportunities to practice! You can also try out new vocabulary with your host family. Your teacher can also teach you specific phrases and vocabulary if you’re going to volunteer or intern with us. This can help you gain even more from your project. 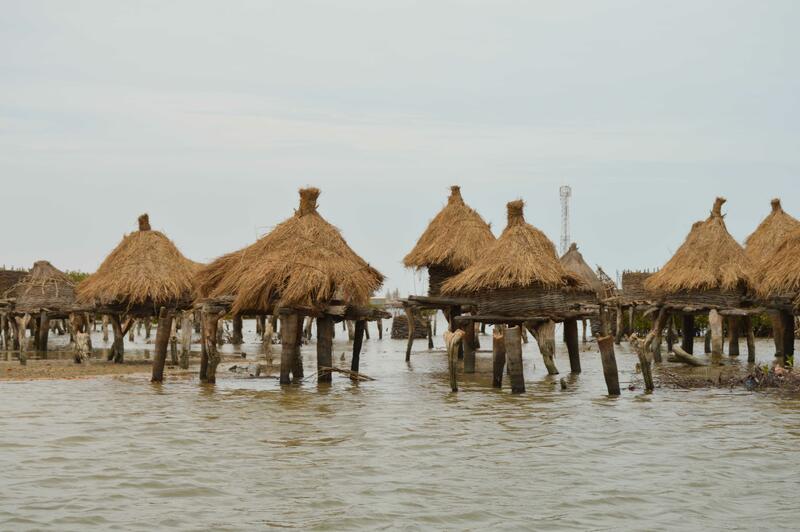 You’ll live on the island of St Louis, and stay with a French-speaking host family. When you’re not studying, you can explore the city, and practice your French along the way! Is studying French in Senegal right for me? Our French Language Course is a great option for you, if you are eager to learn the language in a different country and culture. 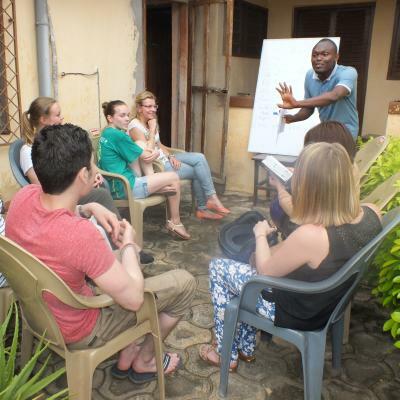 Not only will your French improve in leaps and bounds as you chat with local people, you’ll also get a direct perspective into West African life. French is a valuable skill to add to your CV. It’s a widely-spoken language around the world, and it will help you communicate with people from several countries on different continents. Our French Language Course runs all year round, so you can choose when you’d like to join. You can study full-time by joining for a minimum of one week. 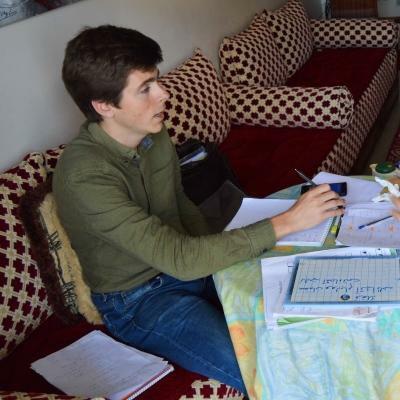 You can also study French part-time as an add-on, while you also volunteer or intern with us. Since French is the main language of communication in Senegal, we strongly recommend this if you don’t speak French. This is especially important if French is a requirement for the project, and you need to improve your skills before you can join. Our language add-ons are available for 5-hour, 14-hour, or 30-hour segments. What will I do on this French Language Course in Senegal? You have two options for learning French in Senegal. You can either study French full-time or you can choose to learn part-time through a language add-on. Whichever option you choose, you’ll study with a qualified language teacher at the French Cultural Centre. Your lessons will be tailored according to your skill level. During this time, you can focus on basic French grammar and vocabulary, or work on your conversation. The most effective way to improve your French is to surround yourself with French speakers. Our French Language Course in Senegal is the perfect way to do this. We encourage you to speak to people you meet, and practice as much as possible with your host family. 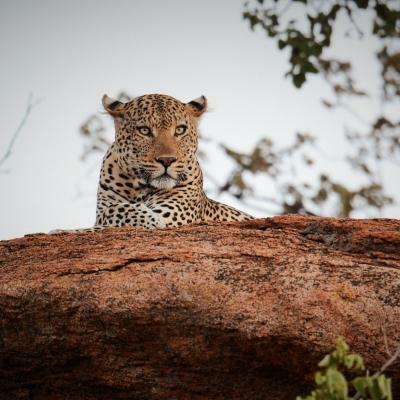 You can also go to a museum and listen to the tour in French or order food at a Senegalese restaurant. 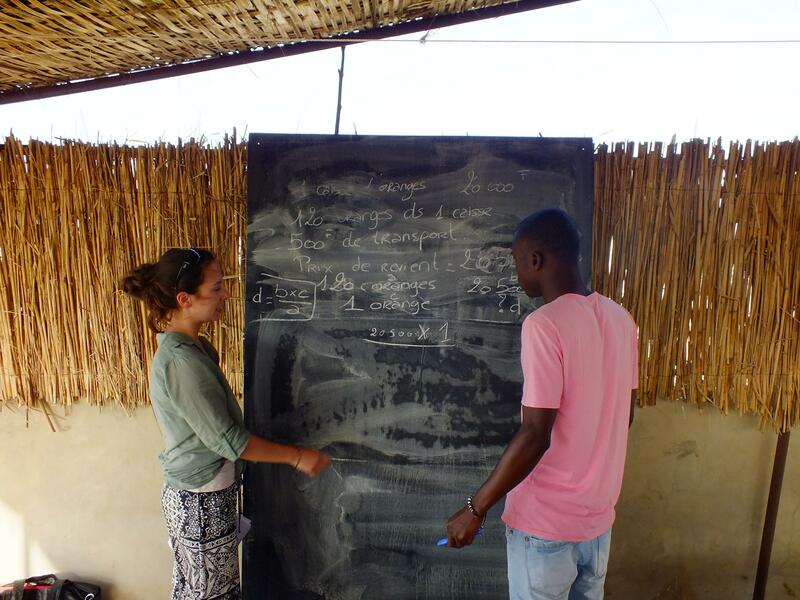 If you’re interested in signing up for one of our projects in Senegal, then you should consider studying some French. Knowing some basic phrases will help you adjust more quickly, and communicate more easily with the people you work with. Where in Senegal will I be learning French? Our French Language Course in Senegal is based in St Louis, a vibrant city filled with charm. Along busy side streets filled with colourful buildings and French architecture, you’ll find the French Cultural Centre. This is where your language lessons will take place. St Louis has more to offer than just striking aesthetics. It is a city rich in history. The important cultural and economic role it played in West Africa is one of the reasons St Louis has been a UNESCO World Heritage Site since 2000. Today, St Louis is an outstanding example of a re-invented colonial city, drawing visitors from all over the world. Each morning, you’ll start the day with breakfast at your host family before heading out. On your first day, a Projects Abroad staff member will accompany you to show you where you need to go, and how to get there. If you’re studying French in Senegal full-time, you’ll go to the French Cultural Centre from Monday to Friday. You can choose to have your lessons in the mornings or afternoons. You’ll have around 15 hours of classes per week. Your weekends and evenings are yours to explore, or socialise with other Projects Abroad volunteers and interns. If you’re studying part-time, most of your day will be spent at your project. Generally, you’ll have classes after finishing your project work. As part of our French Language Course in Senegal, you’ll receive a free membership to the library. As part of your course, You’ll also gain free admission to concerts and film nights, which are regularly held at the centre. 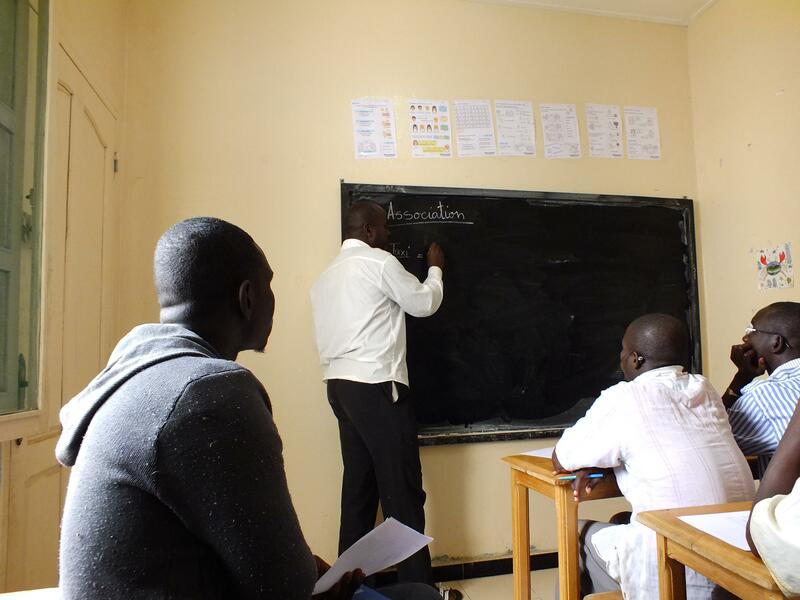 What are the aims and impact of the French Language Course in Senegal? The aim of this project is to help you learn French while travelling to a French-speaking country. As one of the few languages spoken in all five continents, you’ll encounter French worldwide. It is a major language for international communication, and a valuable skill to have when travelling. This is also a great addition to your CV. Knowing a second language helps you stand out in applications and interviews, potentially opening doors for you. Learning a new language or improving your conversation skills becomes a lot easier if you are able to surround yourself with native speakers. Since French is their main language of daily communication, what better way to learn than in Senegal? 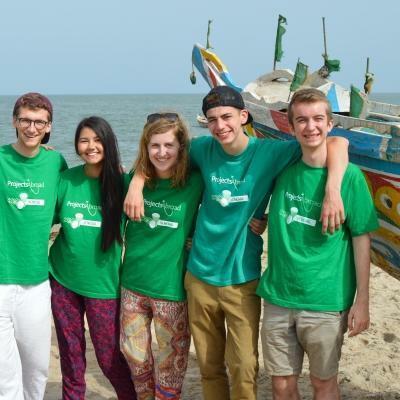 Improve your French skills by joining us in Senegal on our French Language Course, and immersing yourself in the local culture.